In June 2016, the City of Madison unveiled an updated MadiSUN Program, featuring a group purchase program for rooftop solar and an affordable solar energy loan. 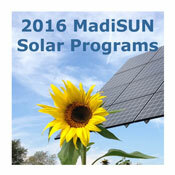 For information about these programs, visit 2016 MadiSUN Solar Programs. 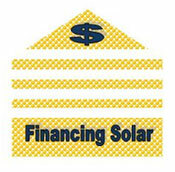 Putting solar panels on your home is a great way to lower your energy costs. And you get to switch to a clean, renewable energy source that you can feel good about for years to come. Going solar at your home can be a big step, but MadiSUN makes it easy. How does the MadiSUN program work? Lower costs: Through the Group Buy, Madison residents come together to purchase and install solar systems as a community. By buying together, the program can lower the cost for each participant. Education: Through free community information sessions, MadiSUN teaches residents about how solar works, what return on investment they can expect, and what financing options are available. See if MadiSUN is hosting a session in your neighborhood by visiting the 2016 MadiSUN Solar Programs link in the sidebar. Financing Solutions: MadiSUN participants are eligible for incentives and financing to lower their costs even further. Participants can receive a Federal Tax Credit equal to 30% of the cost of their system. Through Wisconsin's Focus on Energy program, solar electric systems qualify for up to a $2400 cash rebate. Madison homeowners also have the ability to finance 100% of the cost of their system through a low-interest, fixed-rate loan through the Solar Energy Loan Program. 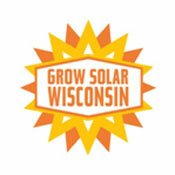 In 2007, the City of Madison was named on of 25 Solar America Cities. Since receiving this designation, the City of Madison's Solar program, MadiSUN, has helped hundreds of businesses and thousands of residents learn more about solar energy, understand their solar production potential and assist with the solar purchasing process. In addition, the city currently owns and operates several solar electric and solar hot-water systems and is continuing to explore additional options to add more solar to city facilities. In support of improving the local solar climate, the City has also improved the permitting process and zoning codes to encourage solar projects. Navigate the City of Madison requirements to install solar with five easy steps, get answers to frequently asked questions and avoid common mistakes.